Obviously I took advantage of Titleist’s buy three dozen, get a dozen free deal. I do like good golf balls and I admit to being a golf ball snob, but a guy needs to save a bit of cash here and there. 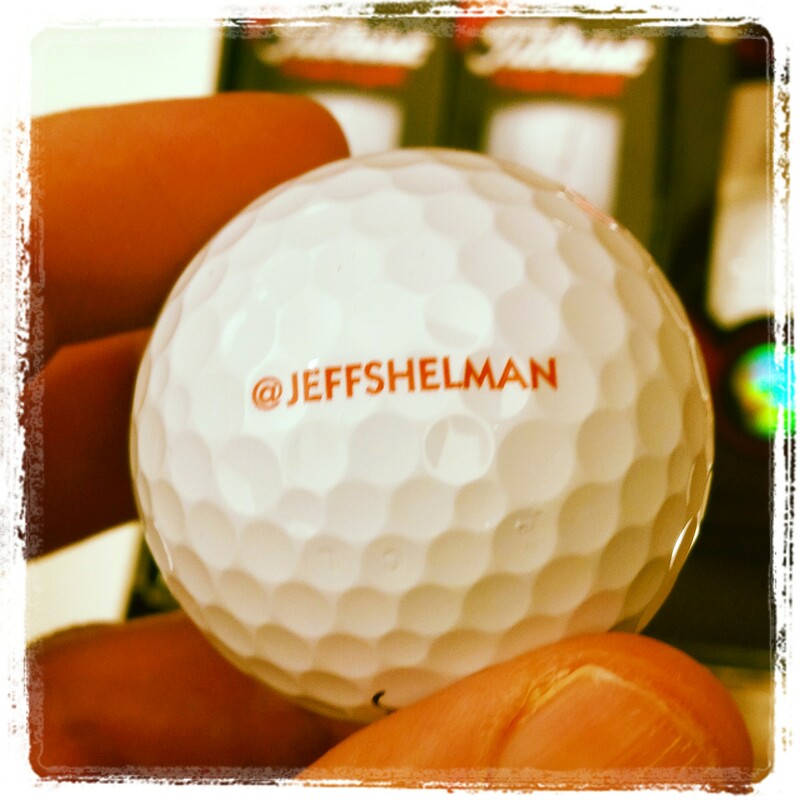 Part of the deal, however, is that you have to get the balls personalized. My guess is that Titleist does it so people don’t keep two dozen and try to sell the other two or return the other two to a retailer. It’s also harder for two guys to split an order. So what should a guy like me put on my four dozen ProV1x balls? A year ago, I got a simple, “JS” on the side. In red letters of course because I truly hope that red letters = red numbers. This year, I decided to be a little more daring, which you can see below. Yep, that’s my Twitter handle. Yes it is random. And, yes, there will be some people who see these and will be totally confused about what it means. But that’s OK. The perfect gift for your fellow Rota participants!